Travel always makes people excited, but it is also exhausting activity. 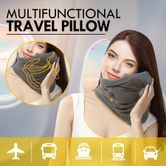 Now there is a new type of travel pillow for taking a nap in transport, like a plane, train, cat, or bus. It is so convenient that you can put in the limited backpack easily or attach to the handle of your bag. The special internal support system, hiding in the soft and comfortable polar fleece, hold your head in an ergonomic position and support your neck well. You won't bother the stiff neck, sore shoulders anymore! On the contrary, you will get a great nap and recover your energy to explore further in the journey. What' more, the cover is removable and washable, which is good to keep clean. The travel pillow would be a useful item to refresh yourself when you nap on the seat! 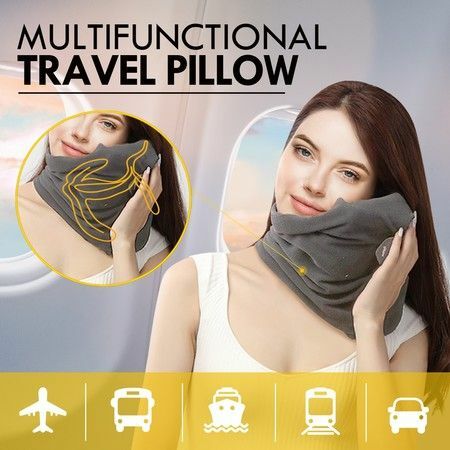 Multiple use: You can use it at plane, train, car or long journey. Take plastic support out first, and then put it in washing machine or just wash by your hand.